They may be small, bean-shaped organs, but kidneys are incredibly important to your health. They filter blood, get rid of waste and help control a number of bodily processes. Most people are born with two kidneys, each the size of a fist. They’re located in your back, on either side of the spine, and just below the rib cage. 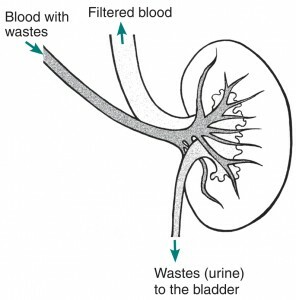 Kidneys filter blood and remove waste. They are also master regulators, working to ensure the body maintains a balanced state. Kidneys are vital to your health, although you need just one functioning kidney to live a normal, healthy life. Because you need just one, it’s possible for a living person to donate a kidney to someone in need of one. 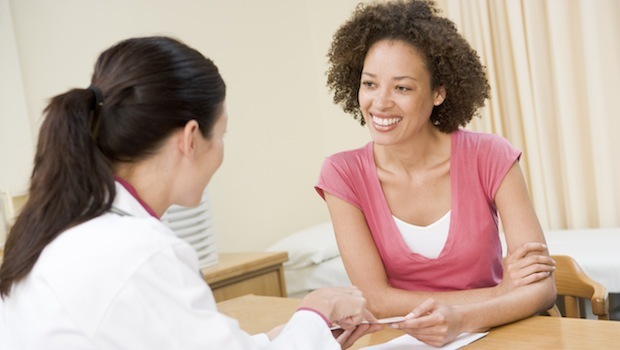 Speak to your doctor if you are interested in finding out more about kidney transplants. Because the kidneys are involved in so many vital bodily processes, keep them as healthy as possible. If you think you may be showing signs of early kidney disease, speak to your doctor about how to maintain what kidney function you still have. 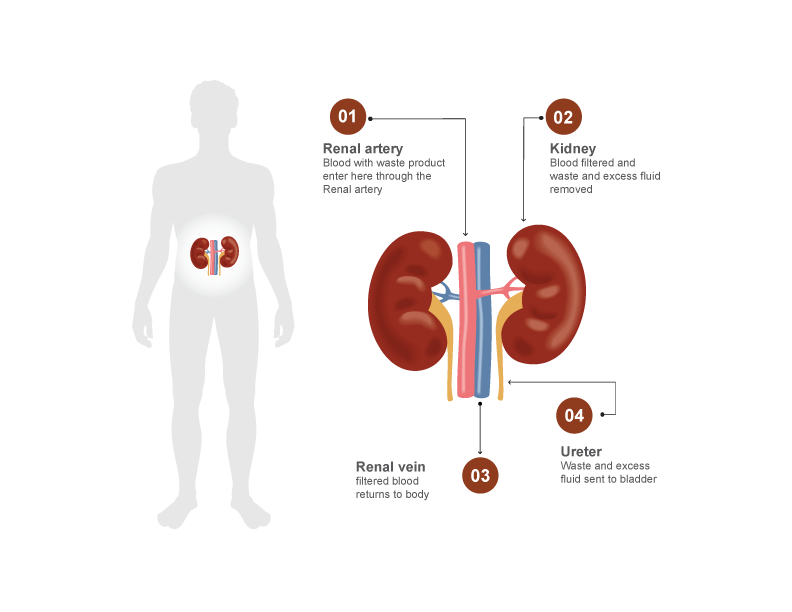 One fifth of the blood pumped by your heart goes to the kidneys, where it is processed and filtered. 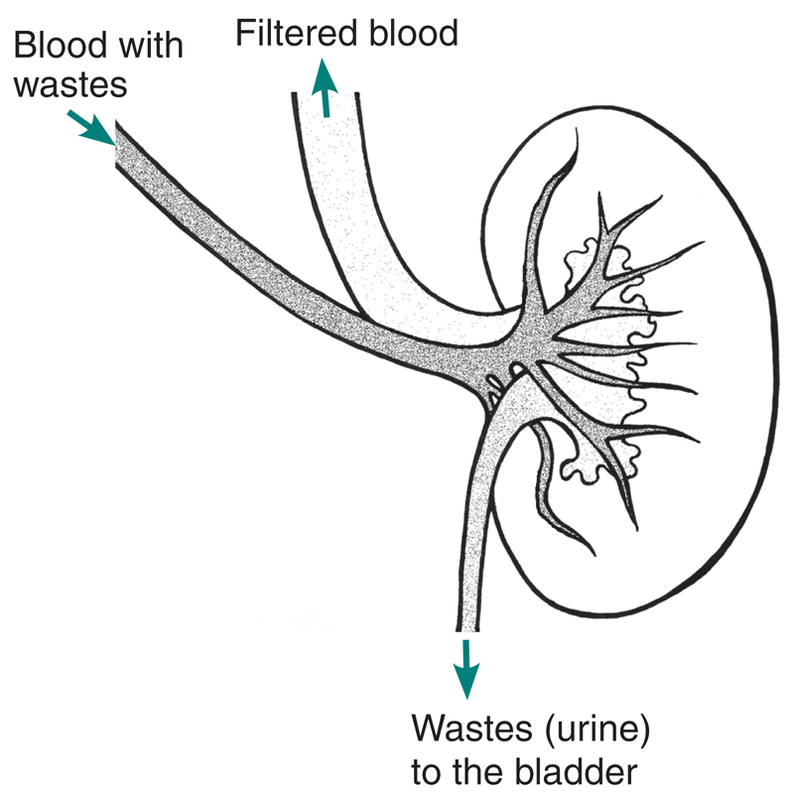 Excess water, salt, minerals and waste are sent to the bladder as urine and ‘clean’ blood is returned to circulation. It takes just five minutes for all of your blood to be filtered by the kidney which means in 24 hours, your kidneys will filter all of your blood 288 times! Kidneys are hard-working organs and it’s important for them to be kept in as good of shape as possible so you feel healthy and well. Whether you suspect you may have kidney disease, have already been diagnosed or feel perfectly fit, it’s crucial to take good care of those bean-shaped filterers so they can keep doing their job.